Some new Ken Block action in his new Fiesta… I always think when i see these rally videos what is really going on in the Co-pilots head? I worry when regular people drive at normal speeds…? Just something you needed to hear today. After reading the article posted on CNN.Com I must say, this iPad looks like a lot of fun. I however do not think it will replace the conventional computer/laptop (as other tablet pc’s didn’t either) – but it will definitely bring competition to the netbook market. It doesn’t look bad at all in my opinion. Definitely better than the last Subie he had, but I also am not a fan of the new STIs (unless they are jacked up on tank treads). I used to be a pretty big Honda guy, and when I moved on to the Euro scene I left all of the knock-off parts and cheap suspension in the past. I got tired of seeing peoples “bootleg” Mugen parts and fake Spoon pieces. Over the years the Honda kids have been stepping up their game and this guy is definitely doing it right. Where he lacks the stretched tires and over done poke, he makes up for with a tastefully flush offset and rare CF bumper. 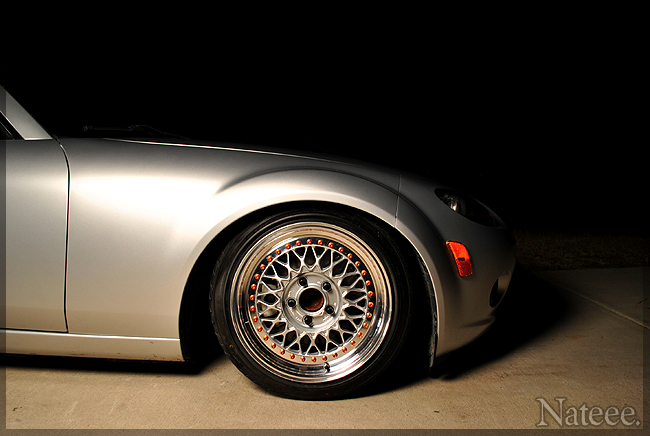 Superfin wheels and a front mount are a nice touch too. This car is clean and deserves some attention on v2lab. Check out more of the Superfin Civic here. 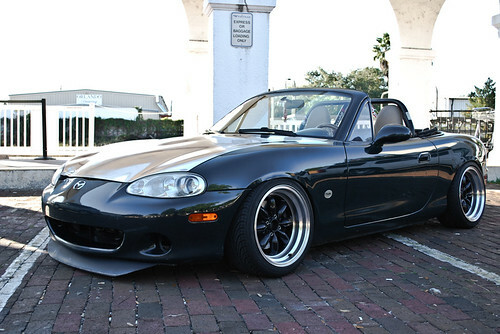 I’ve been seeing quality coming from Miata owners lately. 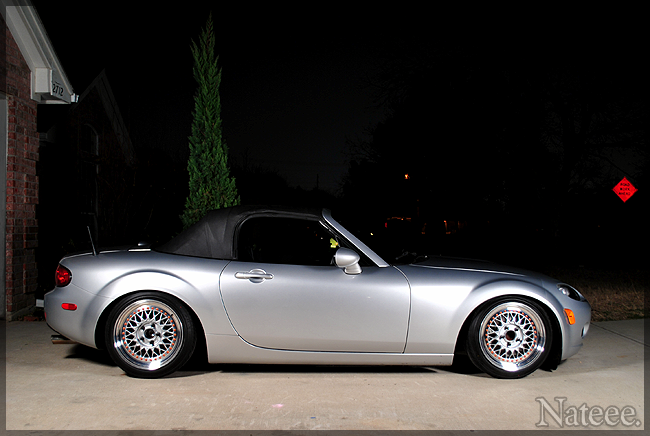 Super flush, polished hoods and low low low. Even though I find it pretty hard fitting into one of these little monsters, I still want one more than anything. They have the ability of being ridiculously quick and have more aftermarket products that you can imagine. Did I mention that they have ALUMINUM hoods? Which means fully polished is a must. 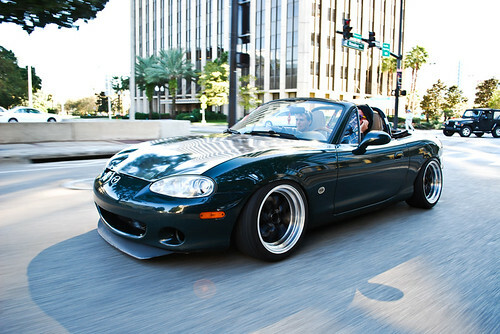 Here are a few shots of local Miatas, static dropped of course. 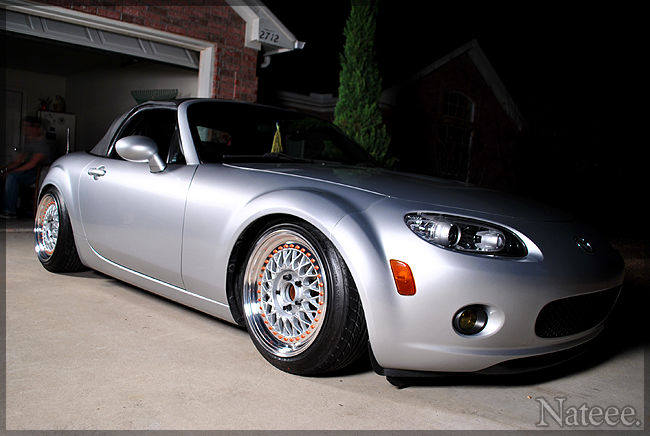 You can find more pictures of the Miata on BBS RS here. What’s up everyone! I just wanted to write a quick intro post for those who might not know me. My name is Matt, I’m one of the new new bloggers here at v2lab. I’ve been a fan of v2lab for a while and am pretty excited to write here. I’m pretty heavy into the Euro scene but I come from a JDM background so a lot of my posts will be about those two scenes. I love the flush/stanced movement so that’s another area you’ll see a lot from me. I drive a Volvo S70, some of you may have seen the car around the streets of Orlando or at some of the shows. It’s finally getting to where I want it to be. Currently building a turbo motor for it which will be finished after tax returns come in. I spend my Wednesday nights with my local club, CFLeuro.net, and occasionally make my way out to the UCF meets. I also own an entertainment website called Orange County Concepts *dot com*. I have also been pretty big into hosting one-off events as well as working hands on with clubs downtown for weekly events. Two of my favorite clubs that I’ve hosted events at is Firestone and Antigua. I used to host a night called Saturday/Thursday @ Firestone and later carried on to a new night called Stereo @ Antigua. I manage DJ Eric Draven, who can usually be found at Latitudes, Chillers, Antigua, Rok Room, etc. I’m a huge electro, house, dub step fan so I will occasionally be posting up new music from many locals DJ’s and other highly known people as well. Anyways, I’m looking forward to posting up some of my favorite rides, new music tracks and more! Stay tuned.